Soar to new heights in the beautiful new Jayco Alante Class A motorhome with Jayco's exclusive JRide® Plus ride. 5,000-lb. rear hitch receiver with dual connector & much more! 4-inch tube bumper with sewer hose storage & more! Decorative window valances & more! 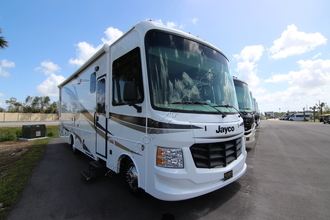 This is a partial list of the 2018 Jayco Alante Class A gas Motorhome features and options. For a complete and exact list of standard features and options please call us and ask to speak to a North Trail RV Center RV Sales Consultant. North Trail RV Center is not responsible for any errors or omissions listed here. 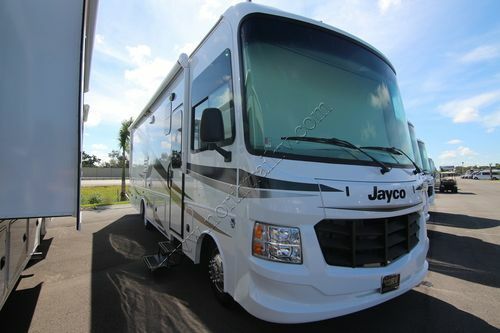 The 2018 Jayco Alante Class A gas motorhome comes in the following floor plans, 26 X, 31 P, 31 R and 31 V.